Press passes are sold by a number of organizations. However, you cannot purchase a press pass from USPA United States Press Agency. It is included in your membership. Of course, a press pass is only one of many benefits that come with a USPA membership. No extra charges or additional costs. There are no monthly dues at USPA. USPA membership fees have been stable for years, and in 2011, USPA even reduced its prices. Why don´t you ask some other journalism associations how often they raised their membership fees in recent years. 0,00 USD - already included in the membership fee. Whether you register in May, August or November, your annual fee is prorated based on the month you join. Even if you sign up at the end of the year, you will not suffer any disadvantage. This fee is always charged in full, independent of the registration month. 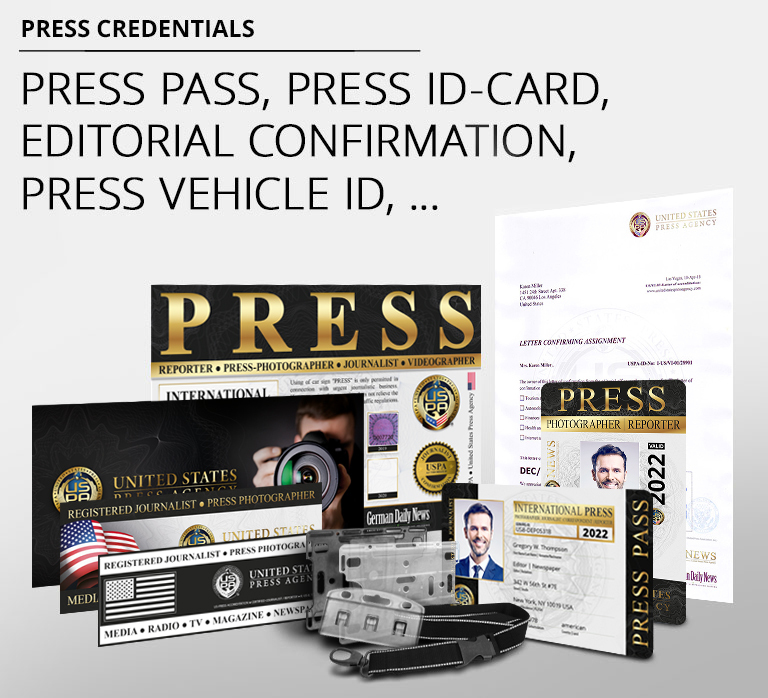 It includes all of our benefits: press pass, press ID card, letter of accreditation, press vehicle sign, and much more. A new press pass is issued every year, as this credential is only valid for the current calendar year. Fair: No additional fee! The cost of a new press pass is already included in your annual membership fee. Renewal fee: 48,00 USD per year. You will receive an email reminder in October of the current year.